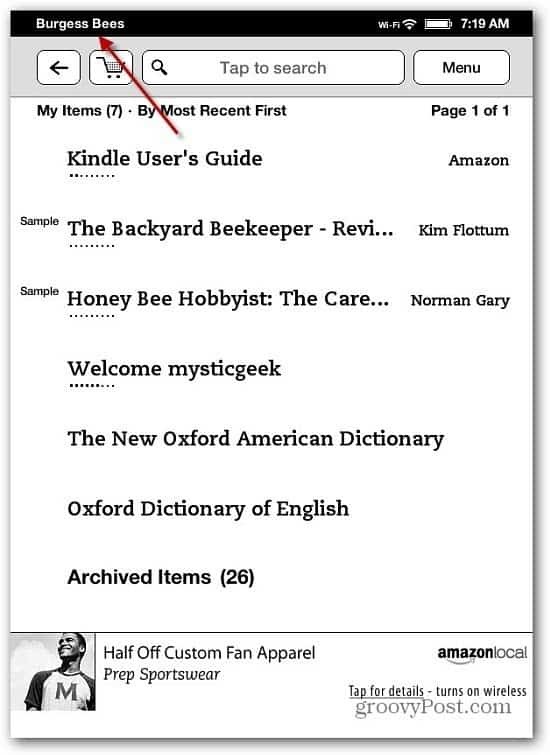 When I preordered my Kindle Fire it came configured with the screen name I use to log in no my account. 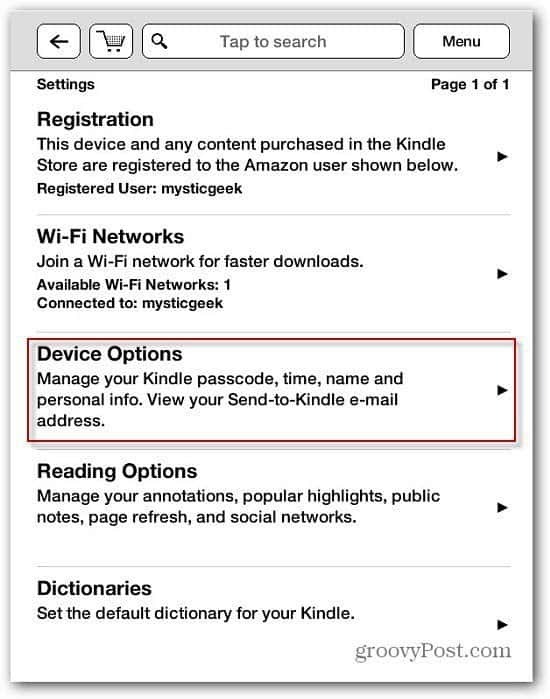 The other day I bought a Kindle Touch. 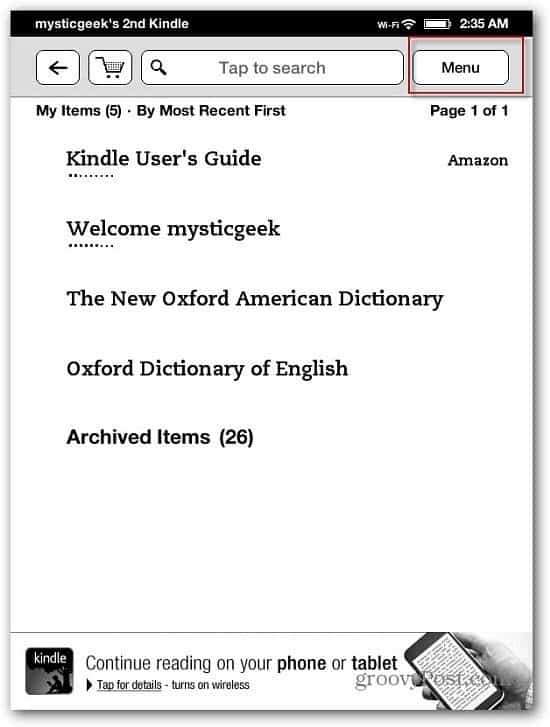 After registering it with my Amazon account credentials, it named itself mysticgeek’s Kindle 2. 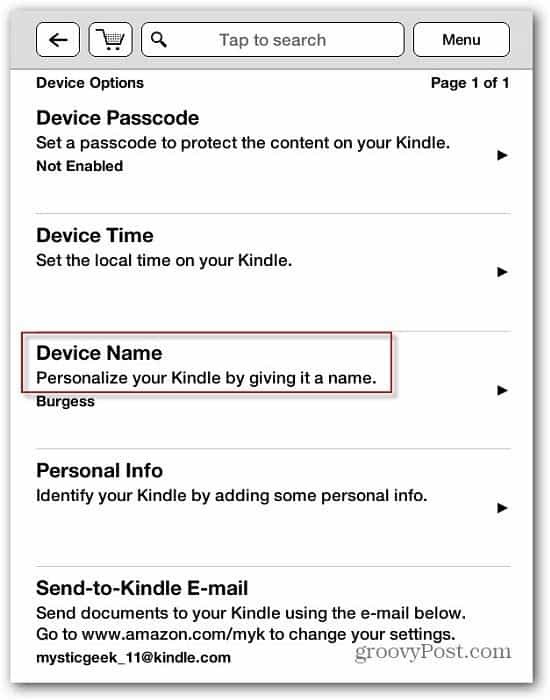 I am not happy with this name for my Kindle touch. Here’s how to change it. From the main menu tap the Menu button. 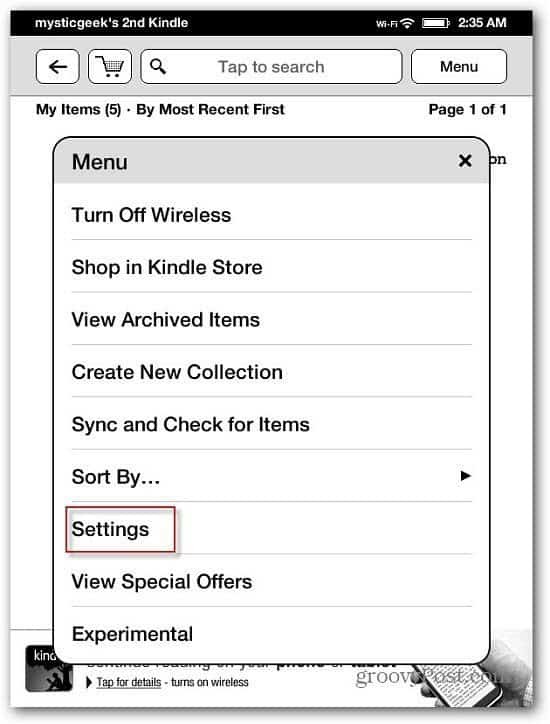 The Menu options are displayed. Tap Settings. On the next screen Tap Device Name. 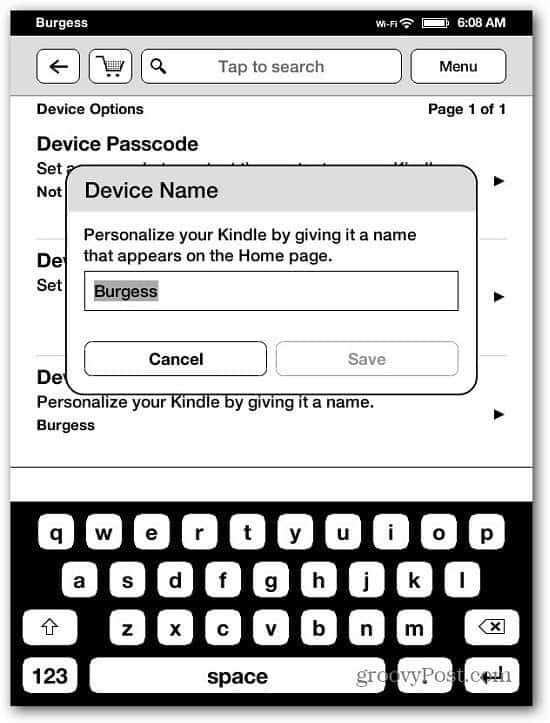 Now type in a name for your Kindle Touch. Then click Save. All done. After saving your new device name, go to the Home screen. You’ll see the new name you gave your device displayed in the upper left corner.